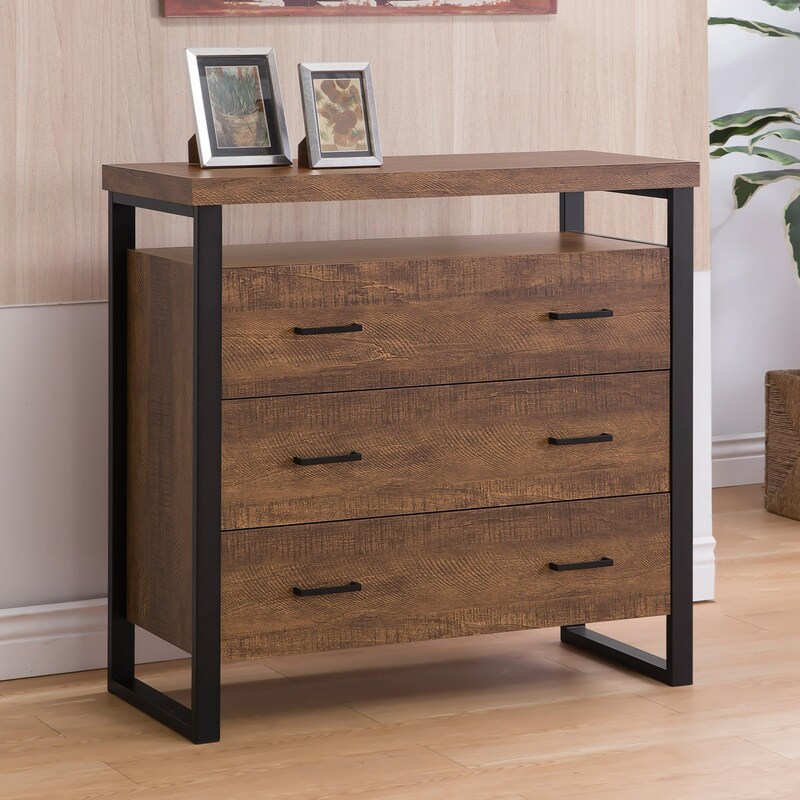 This refined accent cabinet has three drawers with bar hardware. The drawers appear to be floating between the minimalist metal supports framing each side. The drawers and the top of the piece are finished in rustic amber. This trendy piece would match either rustic or industrial design styles. The Accent Cabinets Contemporary Accent Cabinet by Coaster from Nashco Furniture - Nashville. We proudly serve the Nashville, Franklin, Brentwood, Clarksville, Green Hills, Davidson County, Williamson County, Tennessee area. Product availability may vary. Contact us for the most current availability on this product.